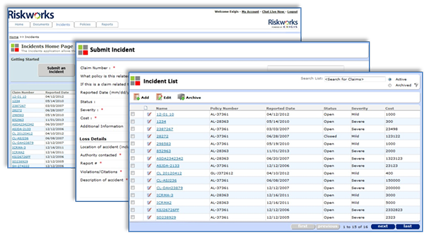 rm.Incidents is a flexible web software designed to streamline the reporting and management of multi-line incidents and events. With rm.Incidents, risk managers have the ability to collect incident data centrally, evaluate the basis for occurrence, and implement safeguards to mitigate future loss. Track incidents across multiple product lines – Workers Compensation, Employers Practices Liability, Automobile Liability, etc.